Bubba loves sitting at the back door to see what’s just beyond the threshold. 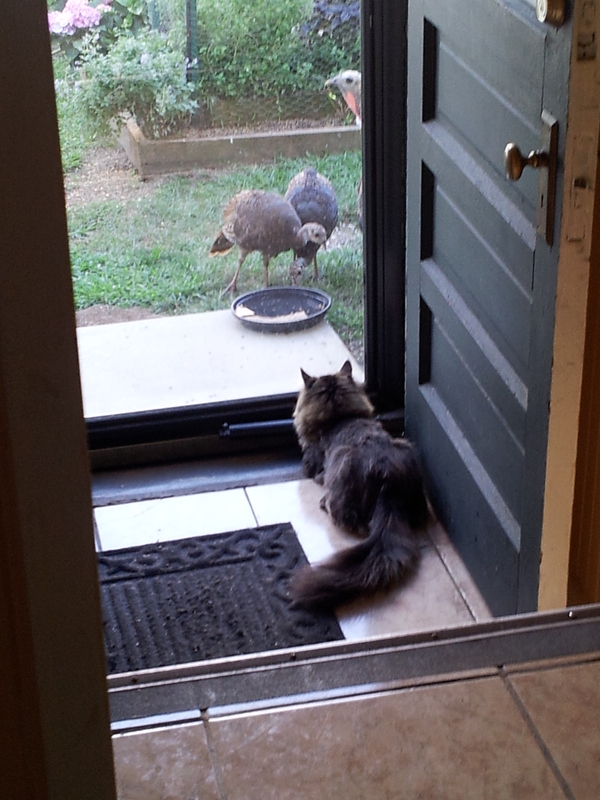 The turkeys that come to visit provide for great entertainment. Weekly Photo Challenge: Threshold (Me) | What’s (in) the picture? On the threshold. | Tales of a slightly stressed Mother! Nice photographs,thank you for sharing. Cute, and perfect for the challenge! My cats would be going crazy! Nice capture.